Royal Challengers Bangalore will play the opening game of the IPL 2019 in a few hours now against Chennai Super Kings at the MA Chidambaram Stadium in Chennai. 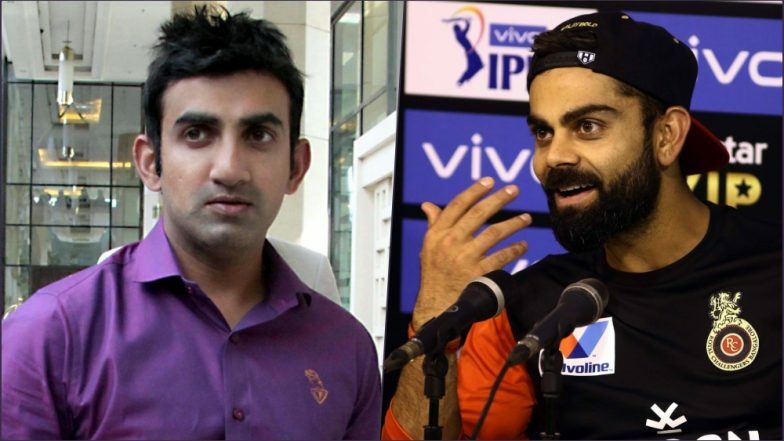 The teams are all set for the blockbuster contest and RCB captain ahead of their first game addressed the press where he was asked about the Gautam Gambhir’s recent comment where the former cricketer had said that Kohli was lucky to have survived as the captain of the RCB without winning any trophies. The Indian captain also had a befitting reply to the comment. Chennai Super Kings vs Royal Challengers Bangalore Scorecard. Kohli said that everyone wants to win and he is doing what he is supposed to do without bothering about the opinions of people. The RCB skipper also said that the team performs where they can but sometimes it just doesn’t happen and there are no real parameters set. Everything depends on the decision he takes during a pressure situation. CSK vs RCB, IPL 2019, Chennai Weather Forecast & Pitch Report: Here's How the Weather Will Behave for Indian Premier League 12's Opening Match. “If I think like people from outside, I can't even sustain five games. I would be sitting at home. I know people talk about it a lot and they like to grab opportunities to talk about these things. But I have a responsibility here and given a chance, as a captain, I would love to win the IPL for my team. We all are motivated to do so,” said Kohli. Kohli has led RCB in 96 matches out of which the franchise has only won 44 games leaving the winning percentage of 45.83%. Talking about the IPL 2019 that starts from today, both teams have looked extremely confident for winning the game. The members of both teams were seen sweating it out in the nets.